I have to say that I feel like I'm one of a small group people who aren't in NYC right now . It's sad, and yes... I'm a little jealous, but that's where Armchair BEA comes in! 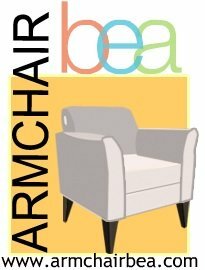 I heard about Armchair BEA last year when it was a little to late to join in on things, so I'm happy that this year I was able to take part. A HUGE thank you goes out to all those involved in making the event happen again this year. Who am I? And How do I Armchair? Well, my name is Lisa and I've been blogging for 1 year, 8 months. WOW, I can't believe how quickly it's all gone by. I have made great friends, which includes some amazing authors... read some incredible books, and I'm really looking forward to the exciting stuff happening in the world of books throughout the rest of the year... and the years to come! I really love my blog. It might not be perfect, but it works for me. I'll always try to keep it growing and changing and hope that others will find many things to enjoy here as well. As for my personal life, well... I'm married to a great guy. We met 11 years ago and will be married 10 years ago this October. He's pretty amazing and puts up with my habit of books and all things reading. He's from Liverpool, England so we go over as much as possible and might be moving there one day, but we'll see how that goes. He has an accent that still makes me swoon, I think I'll keep him. I'm really looking forward to this week! I have plans to try to post something each day this week... Sadly, I didn't sigh up for the interview part of things, but I'm working on something that I could do interview wise to take it's place. So, keep coming back and check out all going on here for the week! 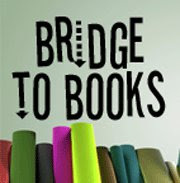 I hope to get to know more of my fellow bloggers and have a great time Armchairing it on through BEA! I think it just feels like everyone is in NYC, when probably there's WAY more of us sitting at home. Aww, I love how you say the cat adopted you. Too cute. My one cat acts like a dog sometimes, too... she growls like one and follows us everywhere like dogs too. Hi Lisa! Stopping by through Armchair BEA. I like your blog, the design is beautiful! Looking forward to getting to know you better! 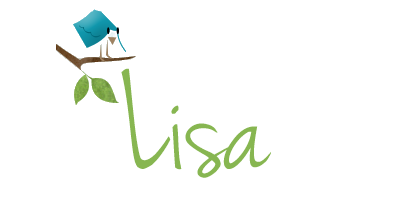 Hi Lisa, I've been following your blog for a while now. Just wanted to stop by and say hi to a fellow A. BEA participant. Gosh, move to England! If I had the chance, I'd do it in a heartbeat! No lies! I love the name of your cat...cute. You should join me for my meme Cat Thursday some time and explain where the name came from. I'm dying to know! I'm staying at home too. Here's to Armchair BEA! So nice to meet you! I hope you have at Armchair BEA!